The Demon Tower RDA is a pretty unique looking rebuildable dripping atomizer on the outside, but on the inside it has a build deck just like pretty much every other atomizer we’ve been seeing lately. On the outside this square RDA has a glass barrel section so that you can see what’s going on inside the chamber, with the airflow coming in from the bottom. 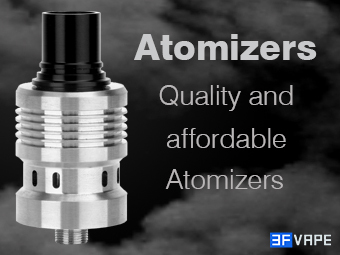 However unlike most glass drippers, the airflow on this OUMIER Demon Tower RDA is filly adjustable making this one of your best options for a glass dripper!